Brazilian Green Clay also called montemolinorita and or montmorillonite a French origin and is the one with the highest diversity in natural elements and has a neutral pH (7.3 – 7.4). The color is due to the presence of iron oxide linked to magnesium, calcium, potassium, manganese, phosphorus, zinc, aluminum, silicon, copper, selenium, cobalt and molybdenum. Brazilian Green Clay also has iron, boron, and sulfur which are vital contributors for skin reactions. 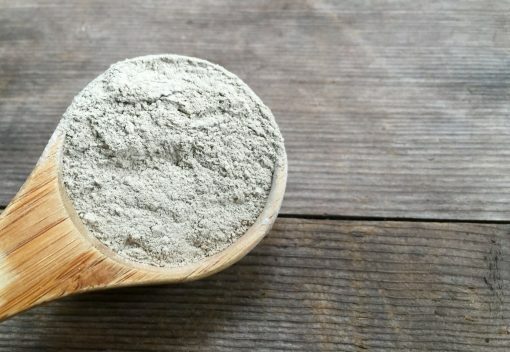 Brazilian Green Clay originally made with mud collected from volcanic lava, mud therapy brings the added benefits of detoxification, balance, healing and refreshing the skin. Recommended for normal to oily skin due to its tonic, astringent and stimulating properties. It helps to control excessive oiliness, common in acne skin. Its colloidal structure forms two silicate layers, composed of small, nanometric particles (smaller than the particles of other minerals). It is useful to control edema and swelling – is an excellent ingredient in formulations intended to burn localized fat deposits thus the controlling and reducing cellulite. It antiseptic, antibacterial, analgesic and healing.